Autumn is beautiful for so many reasons. The temperature is dropping and we are settling in for a long cold winter. I enjoy this time of year and how it allows us to slow down, get cozy, take a deep breath and just accept the season. Acceptance — It is something that we are begrudgingly forced to do at this time of year. I take comfort in this even though I know we have a long and cold winter ahead of us. I am not only accepting the coming season, I am accepting a lot of realities that come with life. Realities such as, I was forced to make a side of bacon and eggs with this amazing salad that I am about to tell you about so that my husband could consider it a complete meal. Such is life. Breathe and accept. More seriously, I can’t remember a more difficult time in my life. 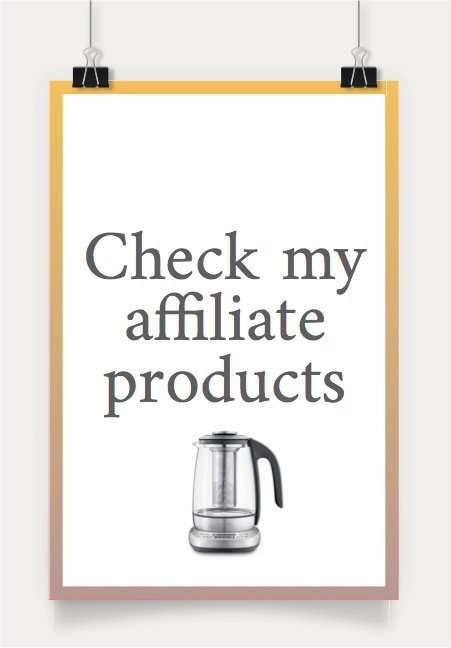 Working from home and working hard to grow my business while being a wife, mother and a house manager has really taken a toll on me. I can’t remember the last time I sat down and remained present while enjoying a meal. I am usually inhaling whatever food is leftover that my kids haven’t finished eating and nearly choking for how fast I’m eating it. 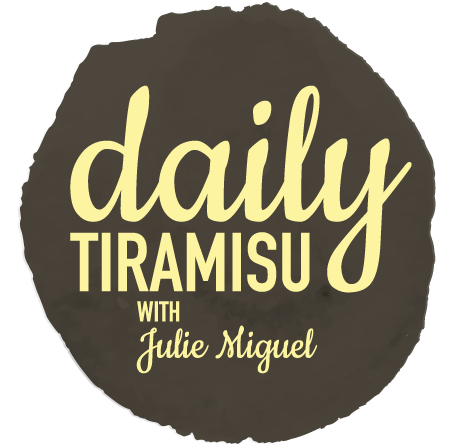 I couldn’t even tell you what I ate for my last meal – seriously, I have no idea. 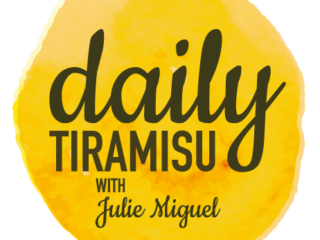 I decided to accept these challenges and just trust that I can ultimately work through them just like I have done so with all of the other challenges in my life thus far. I made an effort to be present while eating my late autumn salad and it allowed me to really pay attention to why this is such a great salad so I could write and tell you all about it. Being really descriptive about each ingredient will hopefully convince you that you have to try this recipe. That is my hope, anyway. I have been obsessed with squash lately. I normally make soup with it and call it a day but this year my eyes have been opened to the versatility of the seasonal fruit. I didn’t grow up eating squash so it was somewhat foreign to me. When you start to see the many beautiful varieties of squash that are available, you know it’s officially autumn. Traditionally we think of soups and hearty dishes at this time of year but a salad can really speak to the season and break up the cozy and warm meals that we tend to default to. I am accepting this new season, while not official, there are so many differences to early autumn and late autumn. The weather and the shorter days, as I mentioned earlier – this is when one realizes that there’s no turning back. Summer was so long ago and it will not return for a while. I am going to take this opportunity, while I eat my salad in the dark, to reflect on the coming year and how I can become a better and stronger person. Maybe the vitamins in this salad will help me with that? I have let priorities become skewed and I have lost something while I was busy enjoying the nice weather – perhaps my direction with all of this. I have given thanks, now it’s time to give acceptance. Allowing minor disappointments to overtake my being is something I worry about so I will work on correcting this while I cozy up and eat my salad – in the dark. Accept the things I cannot change, just like the weather, and look forward to the new things ahead – like this tasty, flavourful, late autumn salad. I want to mention that I absolutely love the moodiness of these photos. They are reminiscent of late autumn and the earlier sundown. These photos really make me stop and think about the beauty in an early sunset. We no longer feel that pressure of having to enjoy the nice weather while it’s around but It also means nights are shorter so dinner begins to feel rushed. Prepare the squash the night before so that it’s ready to go when you want to prepare this salad. 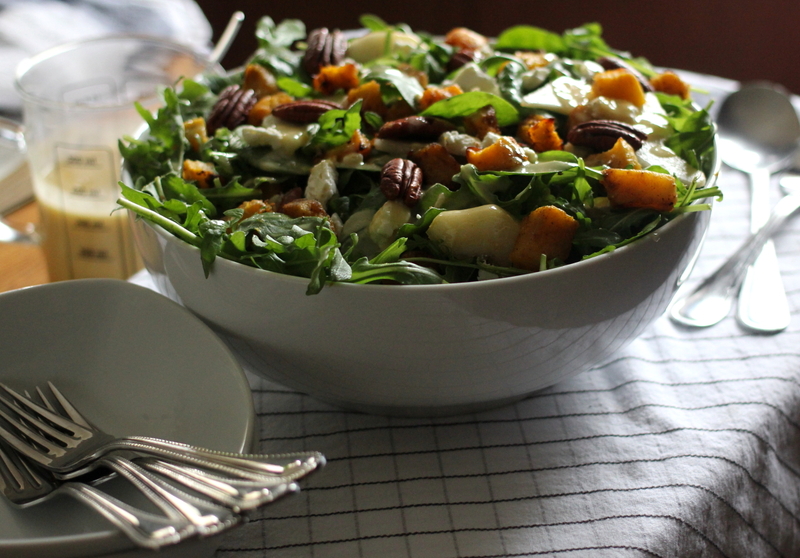 Autumn salad – I should get into the recipe now. The first components that come to my mind are squash, pears and pecans. I love goat cheese, too, so I made sure to include some — and besides, goat cheese is a great addition at any time of the year – I don’t care what anyone says. 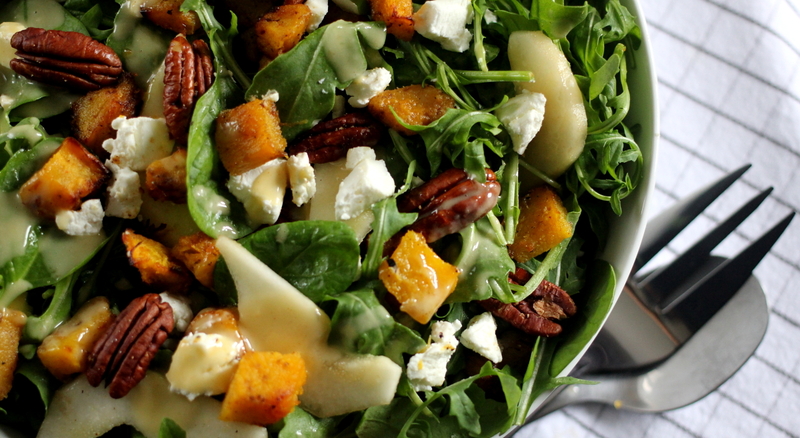 Dressing this salad is really what makes it officially autumn-esque. A brown butter vinaigrette pairs perfectly with these flavours of fall and acts like the warm knitted sweater to the fresh and crisp greens. Toasted pecans are another magical ingredient. Toasting them is a must. They become crunchy and bursting with flavour, especially with the added spices and sugar. Without this step, you will be doing this salad a disservice. Toast your nuts. Brown butter is quite amazing. I am often blown away when a simple ingredient that we have been using for decades is able to take on a whole new flavour profile by just making one small change to it. The root of my passion for food lies in this truth. The ordinary always has the opportunity to become extraordinary – the onus is on us to discover where that opportunity lies. 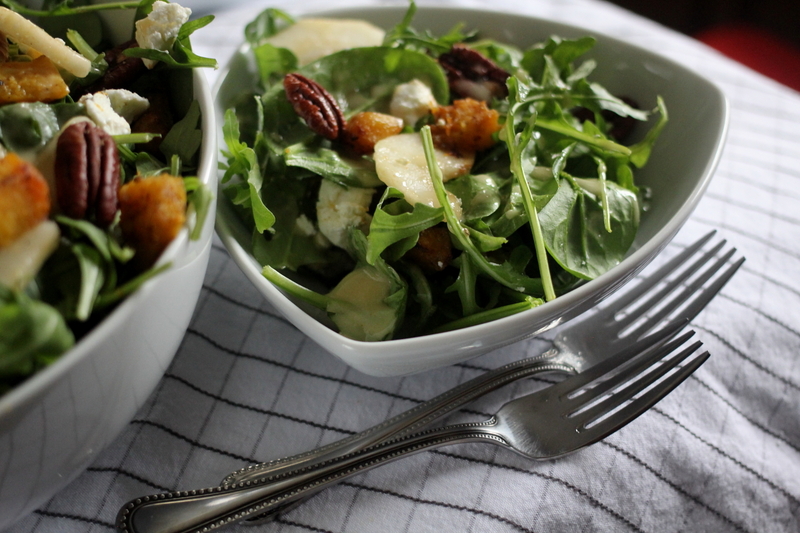 Browning the butter adds a warm nuttiness to this salad, hitting those taste buds way at the back while still remaining crisp and fresh like a salad should be. I am putting brown butter wherever I can these days – it’s really magical. I should remind you that butter re-solidifies when it gets cold, so, if you make the vinaigrette ahead of time and store it in the refrigerator, make sure you give it time to thaw out and re-liquefy. Shallots give this vinaigrette that punch of flavour, although delicate in the blow — they really give body to this vinaigrette. I enjoy shallots and how they pair with vinegar. The two act like best friends who balance each other out. Make sure you use shallots instead of onions or leeks or else vinegar will be sad and lonely because it’s not the friend she really connects with. Vinegar is a ‘she’ today. I hope you guys get a chance to try this dish before it gets too late – no pun intended. It is great as a main dish but if you are my husband, a great side dish to bacon and eggs. A late autumn brunch salad. Try not to think about how many days we have until summer returns. Sit down and enjoy a lovely meal with your favourite people and try to keep each other warm – in the dark. 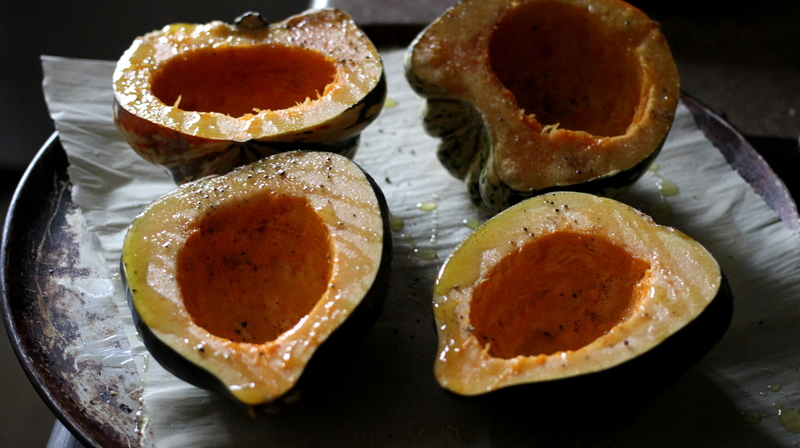 Prepare the roasted squash: Cut your squash in half and scoop the seeds. Place flesh side up on a parchment-lined baking sheet. Drizzle with olive oil, salt and pepper. Roast at 350 degrees Fahrenheit for 40 minutes or until you can pierce through the skin and flesh easily with a fork. Remove it from the oven and let it cool until you are able to handle it with your hands. Peel the skin off and discard it. Chop the squash flesh into one inch pieces. Put them back on a parchment lined baking sheet. Drizzle them with olive oil, salt and pepper and roast the pieces for another 20 minutes at 350 degrees Fahrenheit. Once they are browned, remove pan from the oven and set aside to allow the squash to come to room temperature. 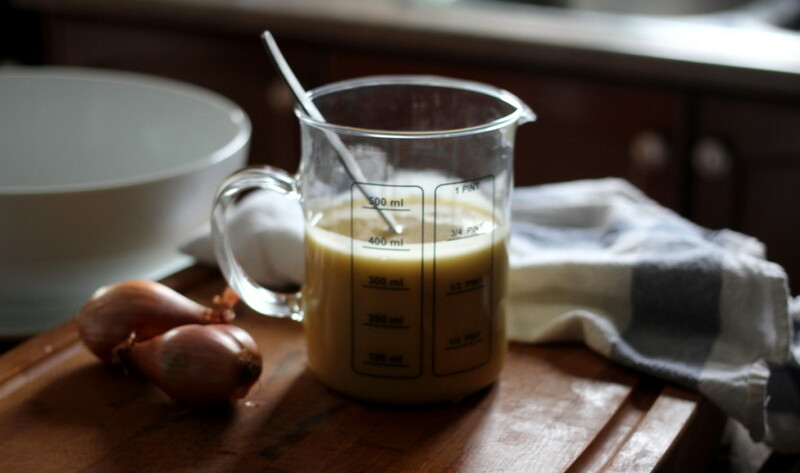 Prepare the vinaigrette: Melt butter in a small pot over medium-high heat until browned (not burned), about 5 minutes. Remove from the heat and set aside to cool. 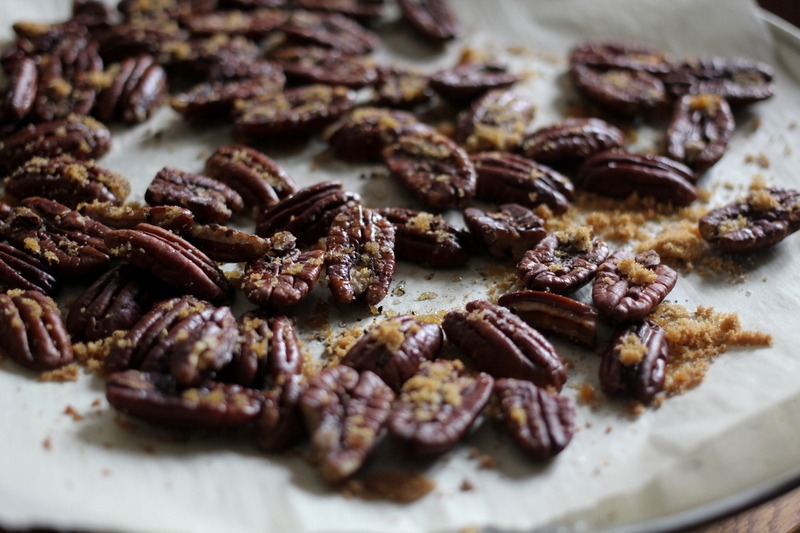 Prepare the roasted pecans: Spread out the pecans on a parchment lined baking sheet. Drizzle them with olive oil and sprinkle with brown sugar, cinnamon, and salt. Roast at 350 degrees farenheit for about 10 mins, or until they become golden and fragrant. Remove them from the oven and set aside to cool. 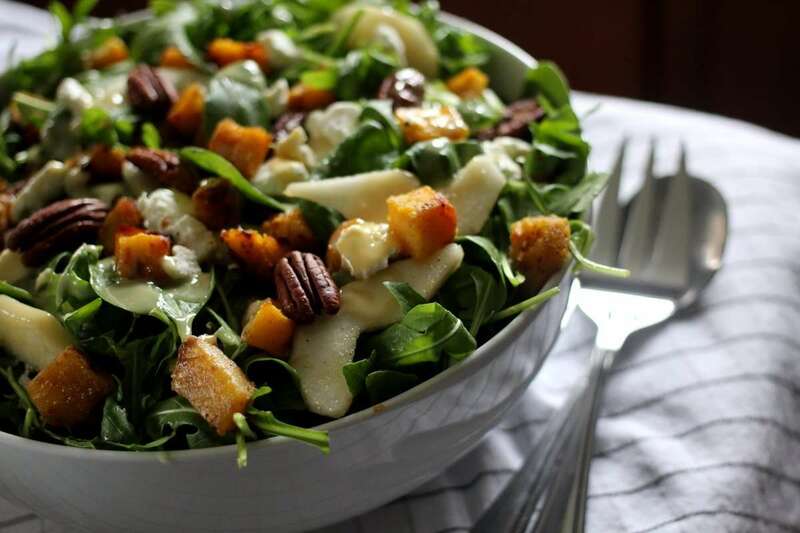 Assemble the salad: In a large salad bowl, add the arugula, spinach, squash, pecans, goat cheese and pears and lightly toss the ingredients together. Drizzle over the vinaigrette and lightly toss just until combined. Divide the salad into 6 serving plates and serve.